Use EnMart's own 2-sided Amazing Red Tape to affix sublimation metal inserts to belt buckles, pendants, keychains, or any of our other sublimatable products with inserts. Due to its versatility, it can also be used for a multitude of other uses where a strong, low profile (thin), 2 sided tape is required. After sublimating and cooling your metal insert, make sure that any bonding surfaces are clean and dry, then cut pieces of the tape and apply to the back of the sublimated metal insert. It is typically not necessary to completely cover the insert with tape. Peel the protective liner away to expose the adhesive, and press the sublimated insert to the mounting piece. Press firmly and hold for a few seconds. That's all it takes to form a secure bond. Full bond strength is reached in 72 hours, but it becomes securely attached almost immediately. If you make a mistake and have to reposition, be sure you do it within a few minutes, or you may not get it back apart! 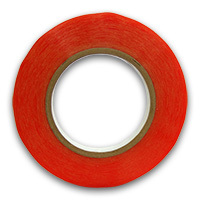 Amazing Red Tape is a 2-sided, clear, permanent high-bond tape for permanently bonding plastic, wood, and metal. 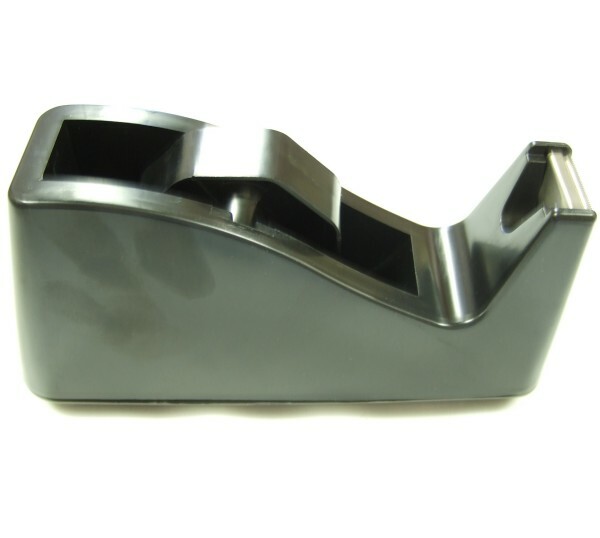 It is comprised of a double-coated polyester film that is coated on both sides with a premium solvent based acrylic adhesive, and provides secure bonding under high temperature conditions. Please note:The physical properties listed above are typical results. Before using this product, EnMart recommends that the user determine the suitability of the product for his/her use and application. In addition, user assumes all risks and liabilities in connection therewith.